MSA Africa has extended its gas-detection capabilities significantly with the acquisition of Senscient of the UK, and the launch of its new Ultima® X5000 with Bluetooth communication. High false-alarm rates, slow detection and poor reliability are frequent bugbears for on-site operations in terms of gas-leak detection, MSA FGFD Country Manager (Africa) Etienne Jacobsz points out. However, these problems are now a thing of the past thanks to the introduction of the latest Enhanced Laser Diode Spectroscopy (ELDS™) technology from Senscient by MSA Africa. This follows the acquisition of Senscient of the UK by MSA Safety, the holding company of MSA Africa. Senscient patented its ELDS™ technology in 2009 for the detection of a range of toxic and flammable gases. The main benefit of this technology is that it eliminates false alarms faster. 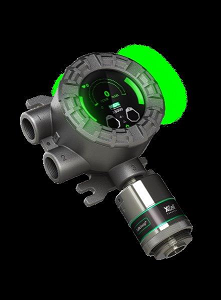 It means increased reliability in terms of detecting hazardous gases, thereby boosting safety on-site and reducing operational costs. ELDS™ technology has significantly changed the way that facility operators protect their personnel and assets from hazardous gas leaks, enhancing MSA’s reputation as a global leader in gas-detection technology and equipment. “This innovative technology from Senscient complements our existing fixed-gas and flame-detection portfolio,” Jacobsz highlights. It gives MSA a stronger foothold in a range of industries, from gas and pipeline processing to ammonia and fertiliser production, the refinery and petrochemical industry, wastewater, photovoltaics, marine and the process analytics industry. In addition, Senscient’s SimuGas™ automated full-system integrity checks eliminates the need for gas checks. ELDS™ is also immune to the cross-interferents that plague electrochemical sensors, thanks to target-gas specific harmonic fingerprint detection. 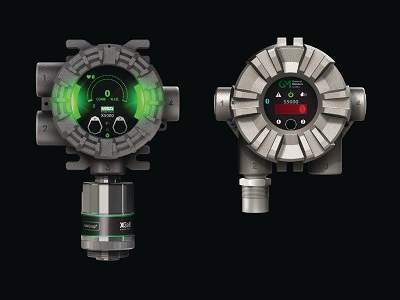 The latest gas technology innovations from MSA Africa include the launch of the new Ultima® X5000, which uses Bluetooth communication for calibration, reporting, sensor status, event logging and set-up, including span value and alarm threshold. The instrument has a multiple sensor capability, which means that catalytic and electrochemical sensors can be interchanged. Differentiating features are no-tool operation, multiple sensor capability, longer-lasting and better-performing sensors, and organic LED (OLED) display, in addition to Pulse Check and AEC (Adaptive Environmental Compensation) features. The latter guarantees that the XCell sensor is functioning correctly. It even corrects the reading automatically if the sensor has drifted due to environmental effects. It is also capable of identifying if the XCell sensor has had a catastrophic failure, and is no longer capable of monitoring the area safely. The user is also alerted if the sensor needs to be replaced in the near future.